G.L. Watson’s Managing Director is pleased to have contributed to a new book documenting the history of the River Clyde in the 20th Century. 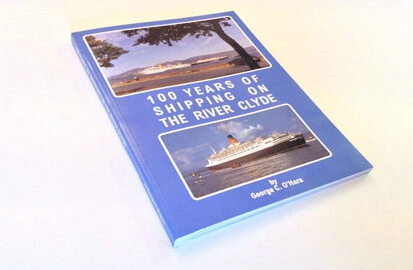 100 Years of Shipping on The River Clyde offers a fully illustrated historical narrative of the River Clyde in an era when its shipyards produced 1 in 5 of the world’s ships. Dr Collier’s contribution focuses on the development of the Clyde yachting scene, when innovative design and build quality made the Clyde the worldwide centre of yacht construction. G.L. Watson & Co. rose to prominence during this time, designing sail and steam yachts for an impressive list of clients which included the local mercantile elite, every royal European house and prominent international families. The book is written by George C. O’Hara for the Scottish Shipping Benevolent Association and is available to buy here.